On February 7, 2017, the Boston Bruins released Claude Julien from his coaching duties after 10 seasons, 759 games, and 419 wins - the most wins of any of their 29 head coaches. Art Ross is second with 387 wins as a Boston Bruins head coach. It was on March 7, 2016 that Julien got win number 388 and broke Ross' record with a 5-4 OT win over the Florida Panthers. But let's take a closer look at Julien's record. Julien coached the Bruins in an era, 2007/08 - 2016/17 seasons, which does not have ties. Instead, it's either an overtime or shootout win or loss with the winning team receiving two points and the losing team receiving one point. If the Bruins won in overtime or a shootout, Julien got a win added to his total. His record with the Bruins is 419-246-94 (W-L-OTL). In straight wins and losses, he has a 419-340 record (losses are 246+94) for a winning record of .552 (419/(419+340)). Julien's points percentage (points to possible points) is .614 ((419x2+94)/(759x2)). Let's break down Julien's record further - he had 336 regulation wins, 35 overtime wins, and 48 shootout wins for a total of 419. He had 83 (35+48) wins past regulation play. And, 246 regulation losses, 40 overtime losses, and 54 shootout losses for a total of 340. He had 94 (40+54) losses past regulation play. His regulation win and loss percentage is .577 (336/(336+246)). If you applied the same winning percentage to his overtime and shootout record he should have had 102 wins ((83+94)x0.577). Instead he has a percentage of .468 (83/(83+94) for a difference of 19 less (102-83) wins. Boston Bruins win and loss record under Claude Julien. Art Ross coached the Bruins during the 1924/25 - 1933/34, 1936/37 - 1938/39, and 1941/42 - 1944/45 seasons for a total of 17 campaigns. Coaching during the 1924/25 through 1941/42 seasons, there were overtime games but no shootouts. The winning team received two points and the losing team received no points. Most overtime games ended in a tie with each team receiving one point. If the Bruins won in overtime, Ross got a win added to his total. Ross finished with a 387-290-95 (W-L-T) record in his 772 games behind the bench. Ross coached 13 (772-759) more regular season games than Julien did. The NHL ceased playing overtime games on November 20, 1942 due to wartime travel restrictions. The Bruins played seven regulation-ending games during the 1942/43 season before the rule changed, and the stats below are recorded as if the rule was in affect for the entire season. Overtime was reinstated starting with the 1983/84 season and shootouts were added starting with the 2005/06 season. Boston Bruins win, loss, and tie record under Art Ross. In the games that didn't end in a tie, Ross had a winning percentage of .572 (387/(387+290)), which is .005 less (0.577-0.572) than Julien's percentage. Ross' points percentage is .562 ((387x2+95)/(772x2)), which is .052 less (0.614-0.562) than Julien's. But remember, Julien had a chance to get the extra point in a shootout and Ross coached 150 games in which there was no chance to gain a win after regulation. What if Ross' ties could have been decided in shootouts, or overtime and shootouts for his last 150 games, as has been the case throughout Julien's stay with the Bruins? Let's look at some hypothetical approaches to determine potential wins. Approach 1 - We apply Ross' overtime record of .622 (28/(28+17)). That gives him another 59 wins (95x0.622) and a 446-326 (387+59 and 290+36) record. Approach 2 - Ross would have won at his winning percentage in overtime and shootouts. This would give him an additional 54 wins (95x0.572) and a 441-331 (387+54 and 290+41) record. Approach 3 - We apply Ross' points percentage to overtime and shootouts. That provides him an additional 53 wins (95x0.562) and a 440-332 (387+53 and 290+42) record. Approach 4 - We use Ross' playoff record of 32-33-5 (playoff ties were allowed in the early days of the NHL in the case of two-game total-point series) which yields a .493 ((32x2+5)/(70x2)) point percentage. This would give him an additional 47 wins (95x0.493) and a 434-338 (387+47 and 290+48) record. Approach 5 - We look at how many more wins Ross would have needed to reach 419; he needs another 32 wins. If his team played at a dismal .337, which is .235 less (0.572-0.337) than his winning percentage, in those 95 overtime or shootout games Ross would have had the 32 wins to reach 419. Remembering that there is just a 13 game difference in the number coached, does the number of contests per season affect the number of wins? Iain Fyffe pointed this out to me, "Generally, coaches are hired and fired from season to season rather than game to game. So if Ross had coached in an era where the seasons were longer, he would have presumably coached even more games, and accumulated even more wins. Of course, coaching turnover might be higher in the longer-season era, so it's not that simple." Of course it's the different overtime and shootout rules that give Julien the edge in raw numbers and it's not really fair to compare the figures directly. So while the record book states Claude Julien has the most wins for the Boston Bruins, Julien would have needed at least 15 to 28 more wins to truly match Art Ross' win record. 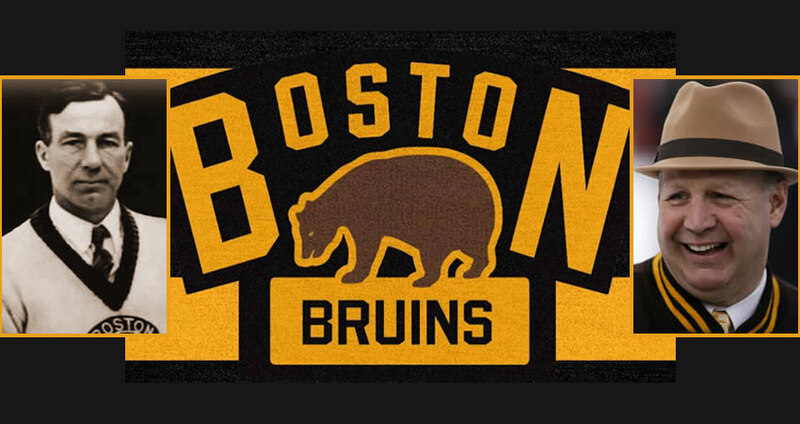 Click here to see Art Ross' player/coaching profile or here to see Claude Julien's player/coaching profile.. Not a member yet? Join now. During the 1930/31 to 1935/36 seasons up to three assists per goal could be awarded. I'd like to give assists to SIHR members Iain Fyffe, Jean-Patrice Martel, and James Milks for help with this article.